Hi, and a very happy Friday to you. Hop on over to the Hero Arts blog for full details of how to make the card. Have a great weekend, I'll be back soon. I absolutely love this and will definitely be CARD LIFTING your idea. 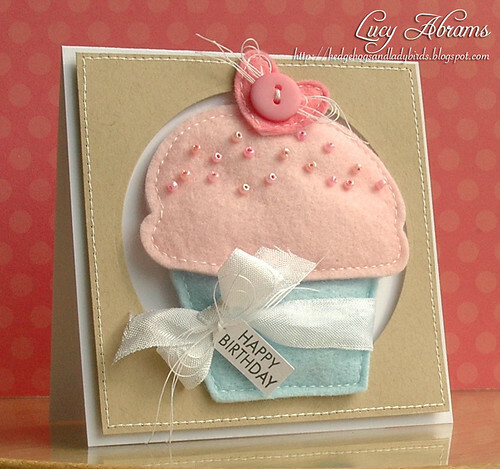 love your squishy cake card Lucy...absolutely adorable ! Love the beading! Very sweet. Soooo sweet! Love everything about the cupcake! That is an adoreable card! Fabulous dimension on the sweetest of birthday cards! bardzo mi się podoba ta praca, cudowna..